Expand search to view more listings in and around Indianapolis. 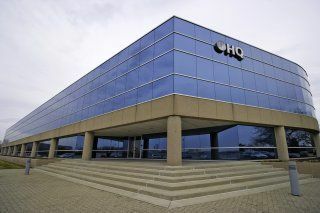 See more offices in and around Indianapolis. 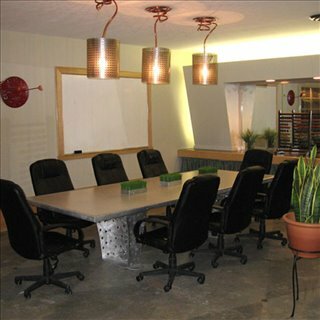 Offices.net has a variety of offices available for rent in Indianapolis, fully furnished and equipped, ready for you to move in and get straight to work. With the fully serviced workspace, executive suites, window office spaces, industrial space, medical space, private office space, shared spaces, virtual office solutions and retail space for lease we offer in the heart of downtown Indianapolis, and in other ideal locations around Indianapolis City, you will be able to conduct your business from professional office space without any build-out / furnishing costs or the long-term commitments of a commercial real estate lease. You can find the currently available workspace listed above. If you are looking for something specific give us a call, our service carries no obligation and is completely free of charge. 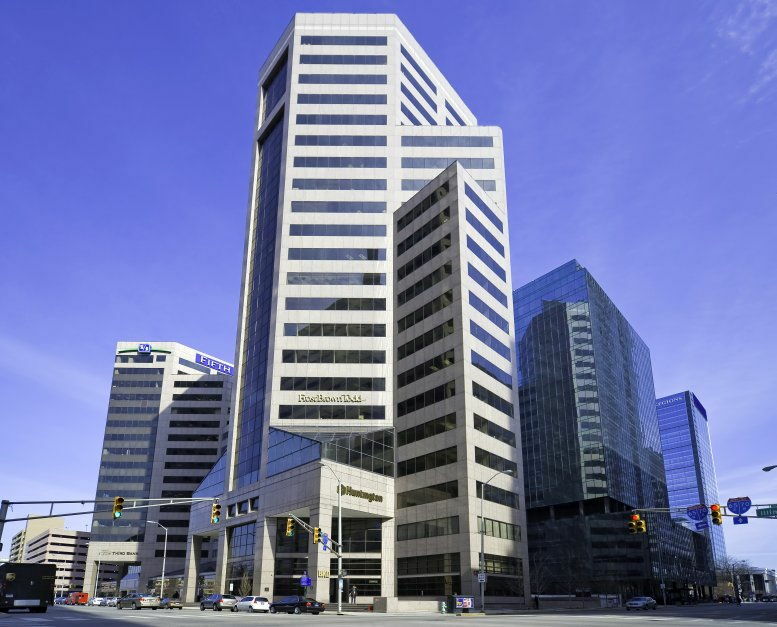 We're here to help you find the perfect Indianapolis office space for rent at the best possible price, on terms that are favorable to you. 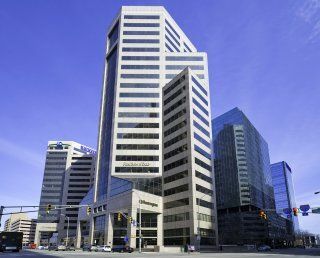 The majority of Indianapolis' office inventory is located in the Central Business District downtown although there are other clusters of office space in Meridian Corridor, Keystone Crossing, Northwest, and the UI-69 / Shadeland Ave area. Availability is at its highest in the Indianapolis International airport area and the western suburbs, but is limited in Meridian Corridor and Carmel. 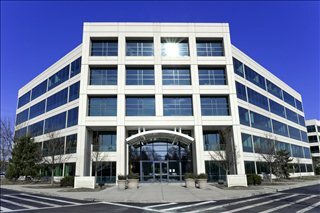 Indianapolis Office Space Costs and Availability: After 8 consecutive years of growth in office-based employment, absorption levels have been increasing in most sub-markets, but particularly in Fishers and the southern suburbs such as University Heights. 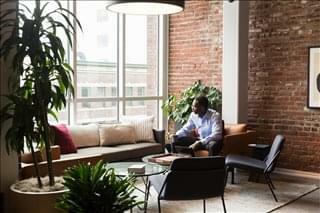 Another ongoing trend is the steady growth of creative and shared office space within the city, which accounts for almost 15 percent of the total inventory. Average asking rents are in the region of $22 / sq ft / year for offices in the heart of downtown Central Business District and $21 in other sub-markets (2017 data). 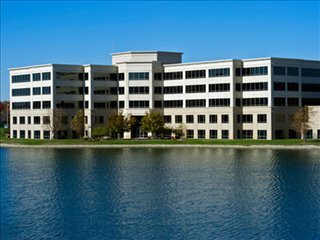 Looking ahead, the office market is expected to expand in size and to improve the quality of existing infrastructure thanks to developments like Visionary Park and other smaller projects in Carmel, North, and Fishers. 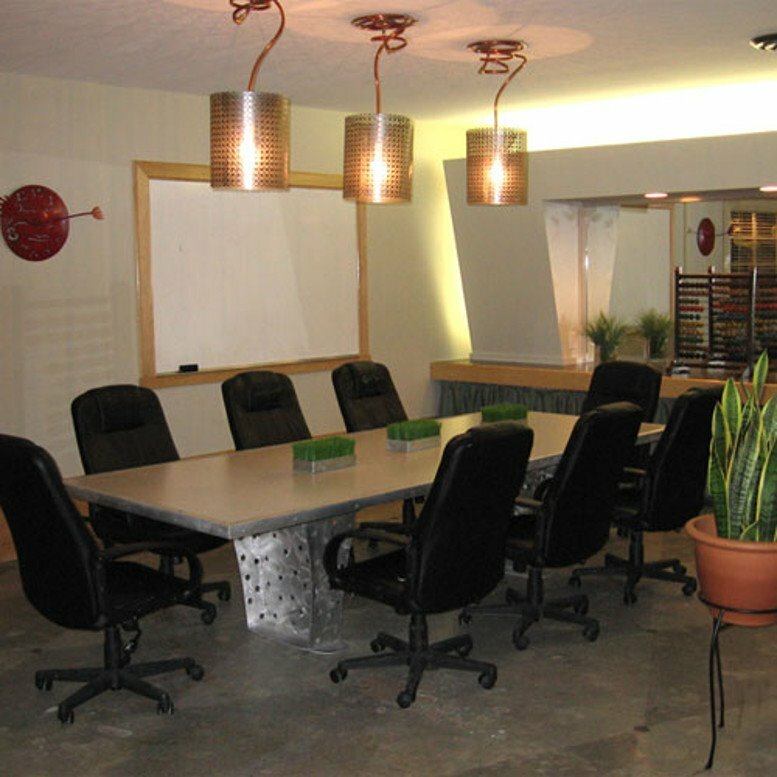 Our office spaces for rent provide an ideal solution to working in Indianapolis, Indiana, and in many cases also offer the option of increasing or reducing the amount of space rented at very short notice. This type of flexibility can be ideal for start-ups and businesses that are likely to grow fast, as well as for those that are downsizing. Whether you require a pleasant window office, executive suite solutions, private office space, industrial space, medical space or retail office space for lease - we'd like to help you. 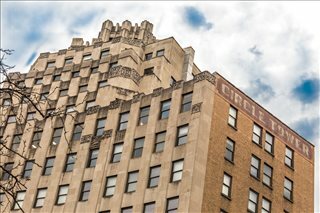 Most of the business centers, private offices, satellite office spaces and other properties for lease on Offices.net come inclusive of an outstanding array of professional office support services including dedicated front desk reception and building security, conference rooms and business lounge areas, air conditioning, dining facilities and break out rooms. Additionally, many of the office buildings and business parks also include easy access to internet and network wiring, parking spaces, all-hours access and on site IT support staff. The public sector has a strong presence Indianapolis, as well as other established industries like trade, manufacturing (pharmaceutical, automotive, aerospace, and medical devices), business services, finance, insurance, real estate, and banking. There are a number of targeted industry clusters in high-value sectors like motorsports, digital technology, and life sciences, which are expected to undergo long-term expansion and boost the city's economic prospects. Key employers include Indiana University Health, Purdue University, Rolls Royce, St Vincent Hospitals & Health, Roche Diagnostics, Cummins, Anthem, Allison Transmission, and Eli Lilly. The local labor market is one of the most active in the US Midwest. Unemployment rates are under 4 percent and job creation levels in high-value sectors are on the rise. For instance, the availability of STEM jobs experienced an increase of 18 percent in only a decade, and while specialized tech and IT firms still face a limited supply of talent, certified technology parks like Intech and Indianapolis Life Sciences Research Community have been created to improve the skill set of the local workforce and to benefit firms willing to invest in these fields. Another ongoing workforce development effort is EmploIndy, which aims to improve the employability of working age residents in 13 target impact areas, as well as to reduce barriers that could prevent employers from finding suitable workers, especially in entry level jobs. There are also several workforce training grants offered by the state of Indiana to employers who have difficulties finding suitable staff. The business scene in Indianapolis is typical of a mid-tier city. 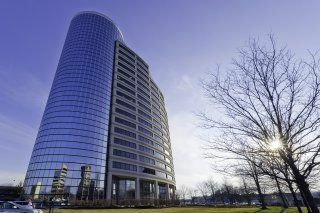 For many successful business owners, the main advantages of being based in Indianapolis are low living costs, high quality of life, and a favorable tax and regulatory environment. Indianapolis businesses benefit from the support of a local Chamber of Commerce initiative, created to boost entrepreneurship levels across the city by offering free of charge coaching sessions. Support is not limited to small to and medium-sized businesses, but is also extended to large corporations with initiatives like the Headquarters Relocation Tax Credit, which has gone a long way strengthening the local business community. 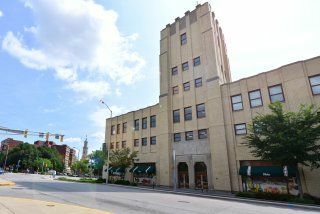 A full list of business incentives can be obtained from the Economic Development Corporation and from the Indianapolis Division of Economic Incentives. Since its foundation in early 19th century, Indianapolis has gone from being a small transportation and manufacturing hub to becoming one of the 15 most populous cities in the United States. Today, the city serves as the engine of the 25th most active economic region in the nation. Indianapolis is Indiana's most populous and largest city. Indianapolis was founded in 1821 as a planned city for the state's new capital. It is the host city of the annual Indianapolis 500, one of the most important single-day sporting events in the world. Indianapolis sits at the junction of six interstate highways and six U.S. highways, making it an important hub for transportation and trade. Due to its location and transportation links, the city is an ideal base for logistics and distribution companies including FedEx Express, Amazon, Target, CVS Pharmacy, and others. Indianapolis' diverse economy has strong social service, health, government, retail, education and manufacturing sectors. In recent years, start-up companies and small businesses have benefited from government incentives and initiatives such as the designation of Indiana Certified Technology Parks throughout the city. Every one of the above listed private offices and shared office spaces in Indianapolis boasts a prime business position located near retail options and restaurants, as well as beautiful green spaces like Eagle Creek Park, and providing access to i465 and other major roads. To search the serviced and private offices for rent in Indianapolis simply choose the ones you like and add them to the inquiry form or just give us a call and tell us what you need. 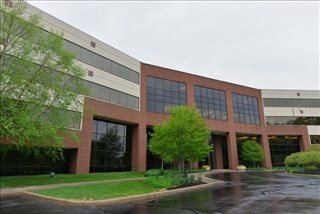 Offices.net also boasts a wide selection of professional office suites and other office space for lease in other prime Indiana locations, available on flexible rental terms as well as conventional leases. Contact us today, and we will be do everything we can to help you find the best office space for rent that is most suited to your company.